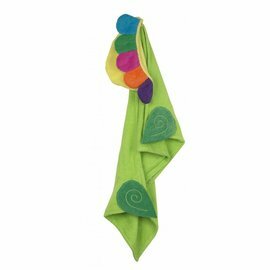 Zoocchini toddler-sized hooded towels make bath and swim time fun! Bright colours and friendly faces add bold character, while 100% cotton bodies wrap your child in a cozy embrace. • Measures approximately 50" x 20"